It is truly amazing what a little paint can do to totally and completely transform a space. 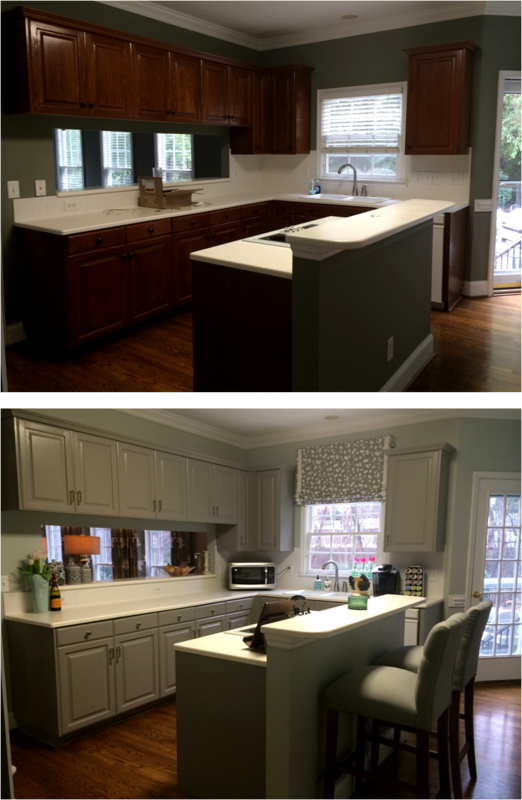 Check out these amazing before/after photos of a home one of our talented interior designers recently revamped. The photos truly speak for themselves as the new paint colors make the space feel lighter, brighter, more open and airy, and much more updated- What a transformation! Our talented design staff are happy to come out for an in home paint consultation to help you transform a space in your home with the power of paint color- call the store today for details on setting up your own in home paint consultation and stay tuned for part 2 of the amazing home transformation next week! Panther Nation- $100 Gift Card Giveaway!